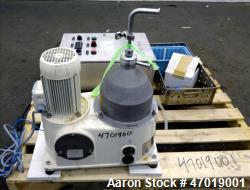 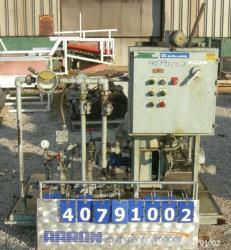 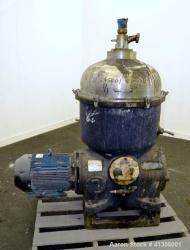 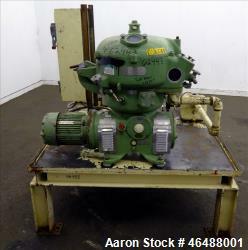 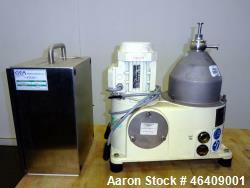 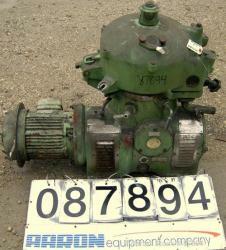 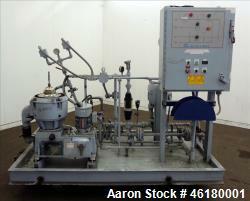 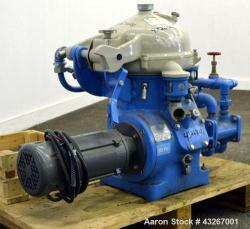 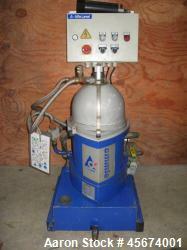 Used-Westfalia KA25-86-076 Chamber Bowl Disc Centrifuge, . 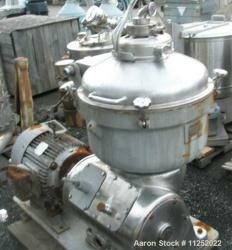 Material of construction is stainless steel on product contact parts. 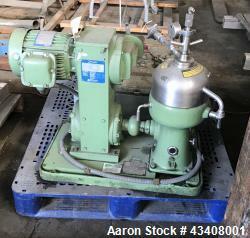 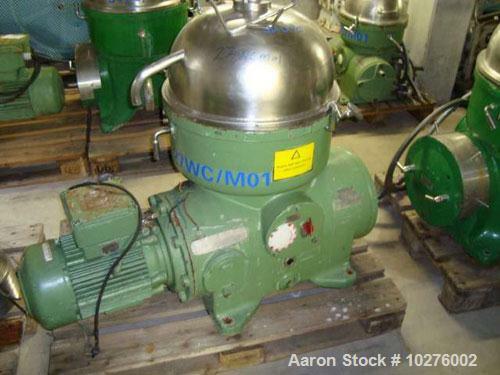 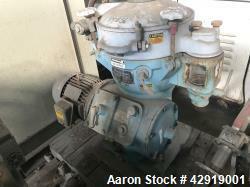 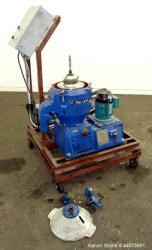 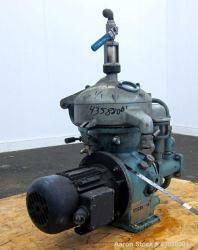 Max bowl speed 6550 rpm by an 11.25 hp/7.5 kW, 380 volt/50 cycle, 3 ph direct driven motor. 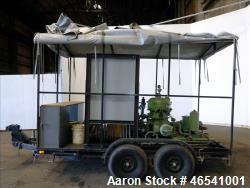 Overall dimensions: 50.7" long x 39" wide x 58.5" high (1300 mm x 1000 mm x 1500 mm).